Summary: DISCLAIMER: This is not my work! I just loved it and had to post it up because, plain and simple, it cracked me up! Pass it on if you feel the need! Summary: Three years after the Fourth Shinobi World War things have finally calmed and settled back down into the everyday life style. Everyone is out doing their own thing and living their lives, but Ino and Sakura believe it is time for a get together for old times sake. Upon having a get together old feelings are stirred, friendships are tested, and hearts are broken. Ino, who is currently dating a very good and handsome man, finds herself confused about her feelings for Shikamaru, who unexpectedly admits to have feelings for her. However there is more to Ino's new boyfriend that meets the eye, while he may come off as a simple business man, he is so much more than that. Koji kidnaps Ino and leaves a message to Konoha. It states, "If you want her alive you'll give me the Twin Scrolls." 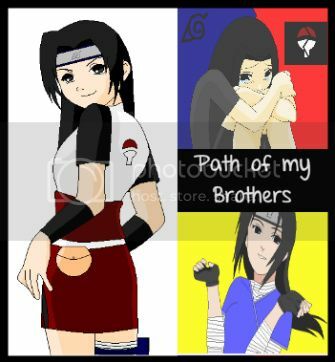 There is only one problem the Twin Scrolls are no longer in Konoha, soon it becomes a race to save Ino and the scrolls. Summary: ". . .I am as of now one of the most hunted person in all of the Hidden Villages. A thirteen year old who is ranked on the double S rank list and the boy who holds the almighty Kyuubi. That is my full background as of late. ."
Summary: After that death, Team 10 needs all the comfort they can get. Spoilers for chapter 328 and beyond. Summary: In the reflection of a sword lies she sees an inescapable destiny. Rather than face it, she wanders the world in a vain attempt to flee the past and the future. The wanderer travels to a far away land, foreign to her but home to others. A land of mystery, a land of warriors who fight from the shadows, and above all, a land of hope. Summary: In a more familiar universe, Naruto and co were Konoha ninjas, devoted to the promotion of peace and justice in a more serene, idyllic world. But this world is far from serene. A corrupt totalitarian regime rules over the people of the Fire Country with an iron fist. Those who resist this oppression face swift retribution from the shadow warriors of Konoha, the regime’s shadowy secret police. Using advanced technology and dedicated training, Konoha hunts down all those who would resist. Zealous from years of careful propaganda bombardment, nine youths eagerly join the secret police to serve flag and country. But doing the dirty work for the Party leaders reveals the truth hidden behind the lies. Will their humanity prevail, or will the demon within consume them? Summary: Team 10 consists of three people no one though could make genin, but somehow managed to succeed. How exactly did they get there though? This is my look on the story of three students as they go through trials and missions.